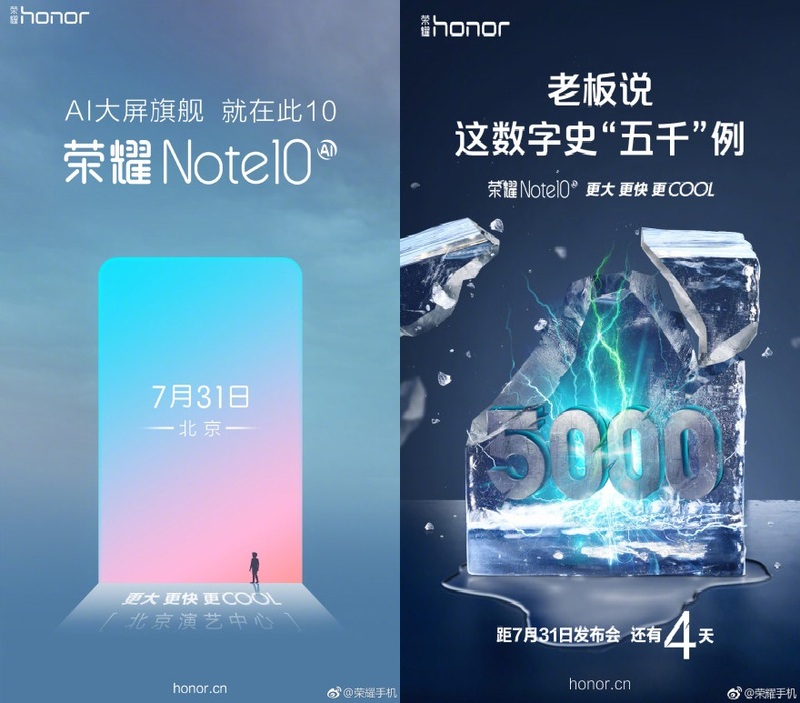 Honor released the specs and release date of its new flagship Android phone which is notch-less and made with glass and metal. According to TENAA listing, the Honor Note 10 has a 6.96 inch screen display with an aspect ratio of 18.5:9. It is powered with Super AMOLED FullView display and Full HD+ display resolution. The phone runs with Android 8.1 Oreo and has an octa-core HiSilicon Kirin 970 processor. The dual rear camera has a 16MP +24MP AI with f/1.8 aperture while the front camera has a 13MP. The battery capacity has 5,000 mAh with SuperCharge fast charging technology support. The storage has 6 GB or 8 GB of RAM and 64 GB, 128 GB, or 256 GB of ROM. The features of the phone will include Bluetooth, WiFi, USB-C, and video recording up to 4K with 1080p. The upcoming phone will launch on July 31 in China. The company has not yet confirmed the price and available colors of the phone.